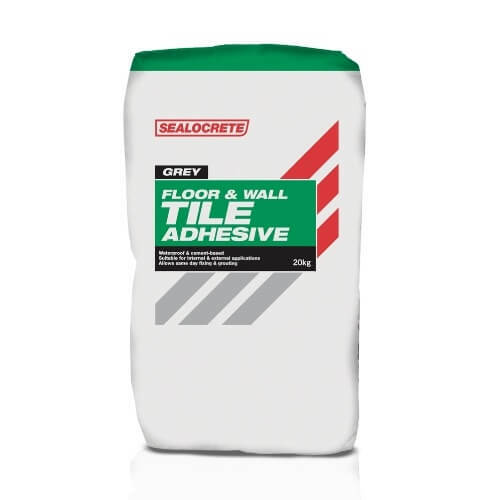 Sealocrete Floor & Wall Tile Adhesive is a heavy duty, cement-based adhesive for use with ceramic floor and wall tiles on concrete, concrete block, cement render and brick. It can also be used on plaster, plasterboard, chipboard, wood and existing glazed ceramic or vinyl tiles in conjunction with Sealocrete Flexible Additive bonding agent. For internal use only.